Durometer is a testing machine. 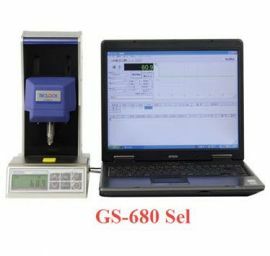 In case that it corresponds to “Monitoring Machine ” and “Measuring Machine” of ISO 9001 (JIS G 9001), controlling machines along with it is needed. 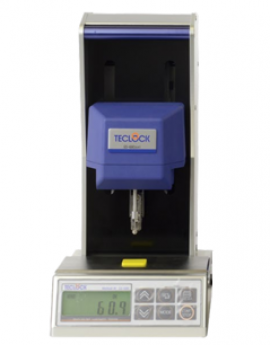 Teclock is one of a few manufacturers of durometer which has obtained the authentication of ISO 9001 and can originally issue 3 kinds of traceability system diagram, calibration certificate and inspection report that are needed for calibration documents. In addition, Teclock can issue 3 kinds of documents for durometer tester and indentor height gauge, that are needed for internal inspection. Use these for control based on internal calibration standard. 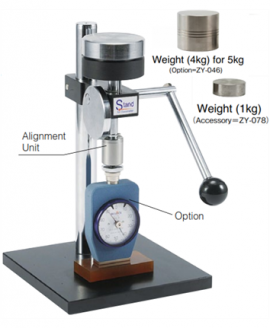 This is inspection machine which simply checks spring load value of analog type durometer. 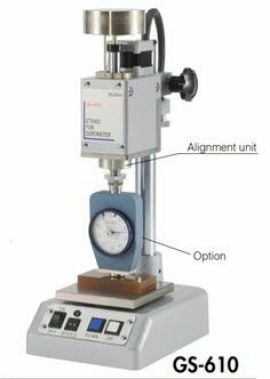 Putting defined load with 3 pieces of standard weight to the inverted durometer and inspecting whether graduation of 25, 50 and 75 correctly point out. Calibration certificate can be issued. 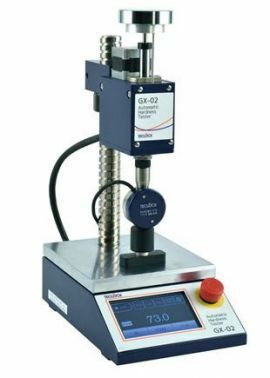 (Digital type durometer and other makes products can not be calibrated.) 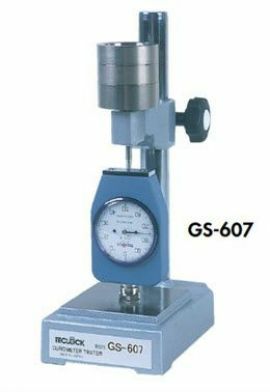 In addition, in the standard of overseas and also domestic, nspection method by using mechanism of even balance and with normal position of durometer is introduced.